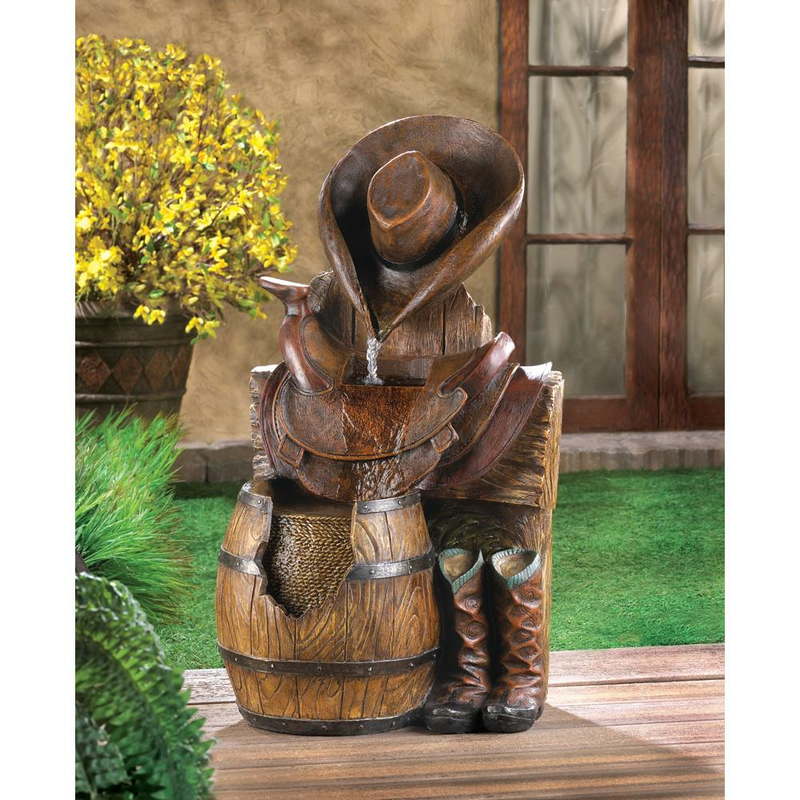 Wild West fountain features cowboy hat, saddle, barrel and boots. Here is a fountain with western roots! 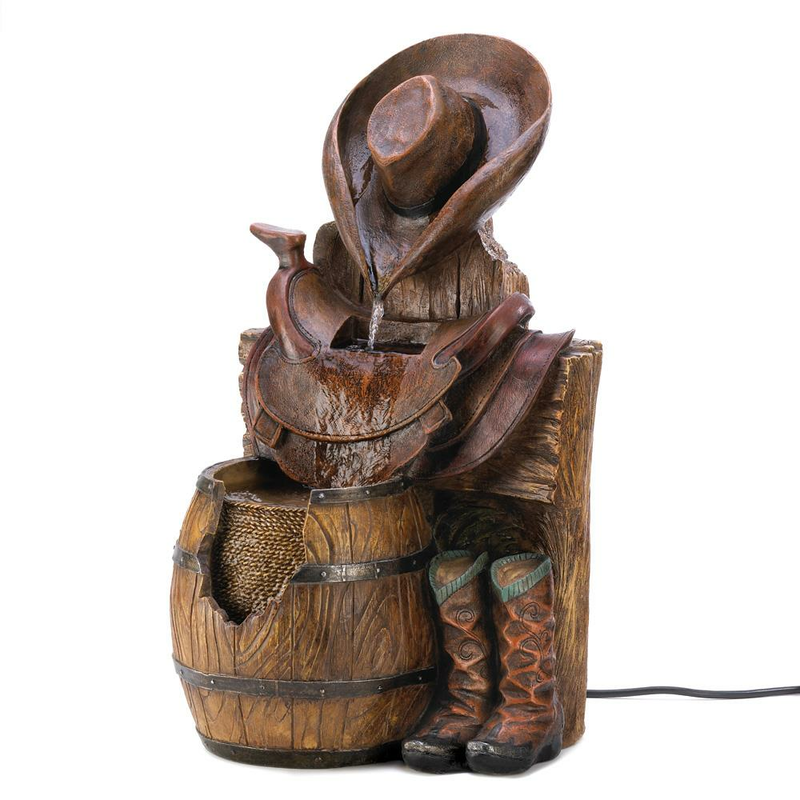 Sit back and relax at the end of a hard day’s ride and enjoy the water as it gently flows.